Buy the Farm . . . Share: Aye and Begorrah! Let's Have Some More-ah! Aye and begorrah! It's time for another St. Patrick's Day where we perform the humiliating American ritual of making a number of dishes that most Irish people have never heard of! Ooooh, it's the luck o' the Irish! Jen was kind enough to make her delicious Irish soda bread which we paired with some Kerrygold butter. 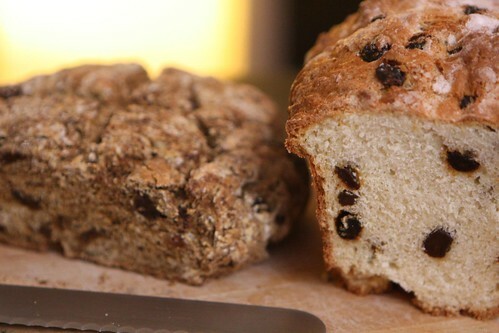 Our friends had also brought over some Irish soda bread so we were able to enjoy both for dinner! One loaf of soda bread per person is completely average. Each year I try to put a twist on our traditionally nontraditional St. Patrick's Day meal. Well, I guess it's traditional in that it's traditional to the sort of made up American version we celebrate. At any rate, my pot is usually jammed with new additions. 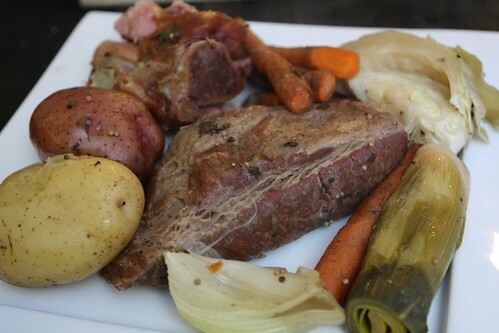 This year in addition to the normal corned beef, potatoes, carrots, onion, and cabbage I also threw in a pork shank, and leeks. Irish bangers, which have made it into the last few St. Patrick's Day pots, were sadly unavailable this year. They had a prior engagement which they just could not get out of. 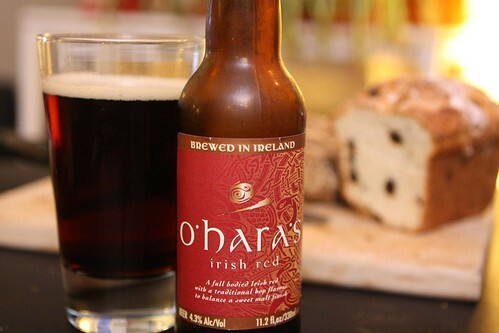 For beer I opened this O'hara's Irish Red from Carlow Brewing Company in Ireland. I figured if I was going to mock Irish tradition so heavily with this meal I may as well be authentic with the beer. I think it was pretty good but with this cold most beers are tasting the same to me these days. For dessert, since I was bastardizing Irish cuisine as is St. Patrick's Day tradition, I made Irish Potato Candy. The concept of this dessert had only been brought to my attention a few days ago. It intrigued me greatly at first because I thought the idea of making candy out of potatoes was extremely exciting. It sounded kind of disgusting but that only made me more interested. 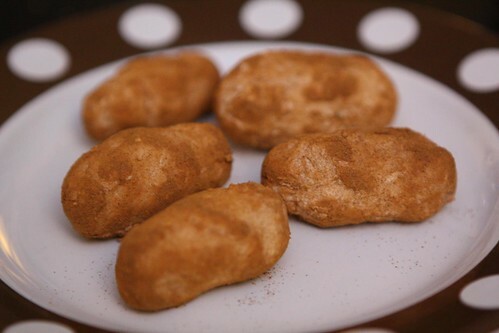 I was saddened to find out it was actually just a sweet little dessert made to look like potatoes. There are a million recipes online. The version I made was butter, cream cheese, confectioner's sugar, vanilla, and coconut which I combined, rolled into balls, and rolled in cinnamon attempting to approximate the look of little potatoes. It's kind of like marzipan except much less professional looking. 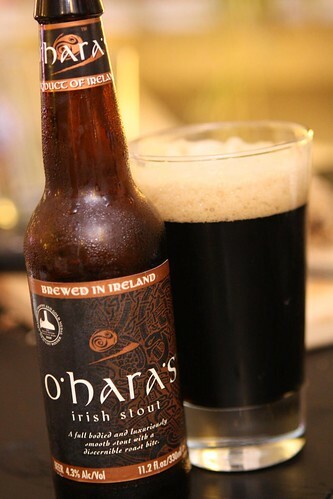 As a nightcap I had this Irish Stout, also form O'Hara's. Can a drink be a nightcap before 10:00 PM? Maybe I should call it an 8:30 cap instead. I had read on BeerAdvocate that it was quite good and, even given my current cold, I'm pretty sure it was. I figured it just wouldn't be St. Patrick's Day without a true Irish stout and, since I'm a pretentious prick, I just couldn't go all mainstream with Guinness. I can't wait until the babies are born so I can start teaching them to be snobby little jerks just like their dad!